The future Father of Genetics was born into a poor and stolid family of Moravian German famers on July 20, 1822. 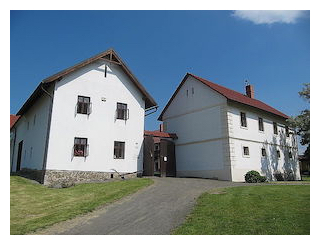 At Heizendorf bei Odrau in Moravian Silesia. At the time the little farming village was part of the vast and unwieldy Austro-Hungarian Empire. The tides of history have since swept it off, without even moving it at all, into the Czech Republic. Or rather Czechia, as the country now wants to be known in English. The tides continue. His little village is now also called Hynčice. It’s funny how these things sometimes start out. Surely no one at Heizendorf bei Odrau would have thought, for even the slightest moment, that Gregor Mendel would go on to become an Augustinian priest, an abbot, and then the scientist who founded the modern field of genetics by demonstrating inheritance patterns in peas. The results of his experiments eventually led to two generalizations, the Law of Segregation and the Law of Independent Assortment. Together have come to be known as Mendel's Laws of Inheritance. Go Mendel! As a child, little Johann, as he was baptized, worked in the garden, learned to keep bees, and attended the local primary school. Not all that out of the ordinary for a peasant farmer’s son in Moravia. The farmer’s son proved bright, though, and the teenager was to be sent to the gymnasium in Troppau, at the time the capital of the Austrian province of Silesia (now Opava, Czechia) from 1834-1840. He later attended the Philosophical Institute at Olmütz (now Palacký University, Olomouc, Czechia). There he studied philosophy, practical and theoretical of course, and ethics, mathematics, and physics, too, from 1840-1843. Mendel was twice forced to take lengthy leave from his schooling due to ill heath and mental strain. He suffered from severe financial constraints and was forced to work as a tutor to support himself at school. He received almost no support from his family after his first year away. Ambitious young Mendel was certainly burning his candle at both ends to make ends meet. When he returned to the farm between semesters, a depressed and exhausted Mendal retreated to a sickbed for an entire summer before feeling well enough to resume studies in the fall. He was barely able to continue even when his younger sister, Theresia, gave him her dowry in support. But there was apparently no hiding from her what her brother was to be. He would later lend his own support back to her three sons, two of whom became doctors. Mendal was also painfully shy and suffered from an absolutely debilitating fear of exams. He would later disastrously fail oral interviews for his formal teaching certificates, twice. Again, he retreated to a sickbed after each embarrassing setback. He would, in fact, never actually be able to pass them. Mendel did his scientific work at the Augustinian Abbey of St. Thomas in Brünn, the capital of the Austrian province of Moravia (today Brno, Czech Republic). Not cut out to be a farmer, the Abbey would be a godsend to young Mendel. Mendel Sr. expected his only son to take over the farming family’s farm but the younger Mendel instead entered religious life at the Abbey in 1843 as an escape. 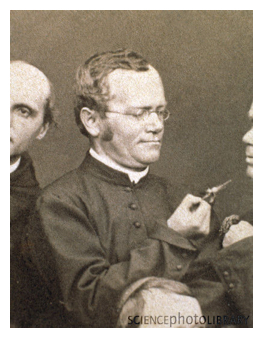 Leaving his baptismal name behind to take on a new religious one, Gregor Mendel started training for the priesthood. The church offered much-needed financial support to bright young men of Mendel’s talent and station who were in search of an education. It worked. From 1845-1848 he was enrolled at the Philosophical Institute in Brünn where he attended lectures in agriculture, fruit growing and viticulture. By 1849, he was ordained. But the ever-shy Mendel didn’t quite seem cut out for the priesthood either. He strained with the normal tasks of ministry. Luckily, he had landed with an order that considered education and learning to be part of their vocation. His mentor, Abbott Papp who had taken him under his wing, recognized that Mendel was bright but was also unsuitable for the normal duties of a priest. Papp set him off on another track. In 1851, the Abbott sent Mendel to pursue further educational studies at the University of Vienna. In Vienna, Mendel majored in mathematics and physics, and attended courses by such renowned professors as Christian Doppler, in experimental physics, and Franz Unger, in the anatomy and physiology of plants. The exposure of his two years at such a world-class university, in the glittering and sophisticated capitol city at the heart of the vast multi-national empire cobbled together by the Habsburgs, were to be mind-opening and transformative for the simple farmer’s son from Heizendorf bei Odrau. Even if he was supposed to be a priest. 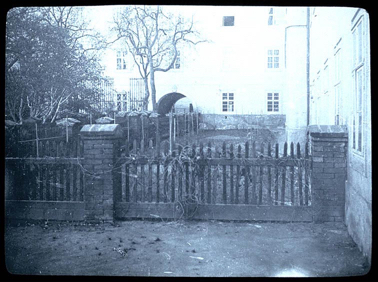 With more formal training in hand, scientist Mendel returned to the Abbey in 1854 and was to teach physics and the natural sciences at Brünn’s secondary school until 1868. That year he was elected Abbot after Papp’s death in 1867. Unfortunately, he would never have the freedom from official responsibility for the unrestrained joys of purely scientific work after that. 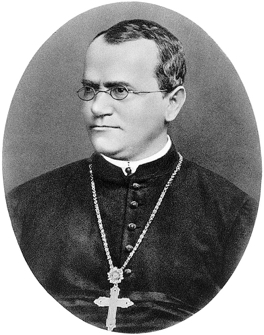 It was mostly from 1854 to 1864 that Mendel carried out his most important scientific work at the Abbey. There, he tended a garden, occupied a new greenhouse Papp had had built for him, had a weather station, and kept bees. And repeatedly crossed, recrossed and recorded his generations of peas with mathematical precision. Probably through what might have been 300,000 plants in a second sunny garden of the southside of the Abbey. Most of Mendel's published work actually concerned meteorology or bee-keeping. It was only in the early Twentieth Century that his single, seminal publication on those peas, Versuche über Pflanzenhybriden (Experiments in Plant Hybridization) published in 1866, was essentially rediscovered. Under closer examination, he slowly began to be hailed as the Father of Genetics. On the home front, he had already garnered some attention earlier. He was elected vice-president of the Natural Science Society in 1868 and of the Apiculturists in 1871, was granted the Order of Franz Josef in 1872, and was awarded the Medal of the Hietzing Horticultural Society in Vienna, but declined the presidency of the Natural Science Society, in 1882. Mendal had already presented his findings at two meetings of the Natural Science Society in Brünn in 1865. Despite the fact that the proceedings were distributed to a hundred and a half scientific institutions all over Europe and the United States, it’s not surprising that few paid much attention to his paper. Or got the significance of his work. It all went against the prevailing notions of the blending of genetics. While he did get some citations in the intervening years, the February-March edition of the Naturforschenden Vereins Brünn mostly sat around on office shelves until it got tucked away in darkened libraries, unreferenced by all except the most ardent researcher. But his ideas were only biding their time in the dark. Until the right moment. And they hit that right moment and the light with a major bang. Cited three times by three different authors in 1900. At the discovery of his discoveries, there was much astonishment—and skepticism—that a dusty, seemingly unknown and insignificant scientist working in a provincial Austrian town of which few had more than a passing awareness, from an Catholic abbey no less, could have had such brilliant insight. It took a bit of convincing of a number of the esteemed scientists of modern genetics that Mendel had actually already precociously been there fifty years earlier. Mendel had a German translation of the 1860 second edition of Darwin’s On the Origin of Species, into which he made comments in the margins. He may have been tucked away in provincial Brünn but he was certainly still in touch with the most important scientific thoughts of the day. One can only image the course of modern genetics if Darwin had had a copy of Mendel as well. 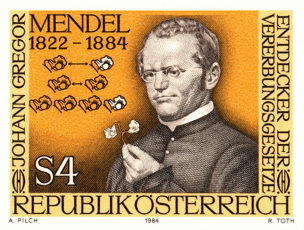 Unfortunately, most of Mendel’s papers where burnt by his successor as Abbot. It was phenoniminally misguided attempt to lay to rest Mendel’s sometimes acrimonious disputes with local authorities over the taxation of his abbey. Mendel was an indefatigable defender of the Abbey and refused to submit. The battle got a tad heated at times and into the fire later went his papers as well. Such are the crimes against posterity. Some people might be well-intentioned. But they’re quite awful and do deserve a special place in the fires themselves. Along the way, Mendel developed a sincere fondness for fuchsias. 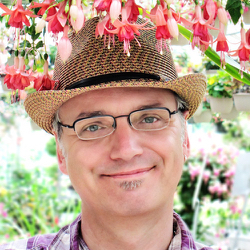 Mendel and fuchsias? Yes, Mendel and fuchsias. There’s more to his gardening than experiments with peas. It’s not even hard to imagine why. Fuchsias were increasingly popular. They would become one of the most fashionable flowers of the Nineteenth Century. Brünn may have been a provincial city but it also had a vibrant cultural and intellectual life. And it certainly wasn’t immune to elegance and fancy, newly arrived from the more glittering and cosmopolitan capitols of Europe, either. Mendel, after all, even had his own timely copy of Darwin on hand. The Father of Genetics grew fuchsias and even crossed them in his garden at the monastery. His bees would have loved them as well. 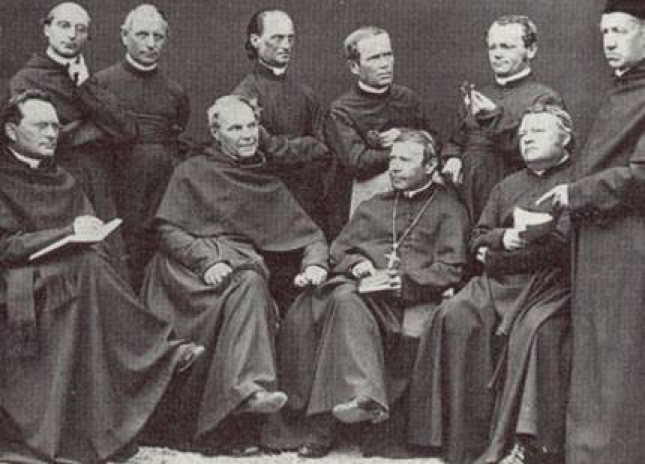 In a group photo of the friars at the abbey, taken sometime after 1860, he poses himself closely examining a fuchsia. It’s a comforting talisman, perhaps, against the discomfort of having to endure the session. A slight, wry smile crosses his face. You might imagine it to have been one of his own garden crosses, he so intently studies the pale form of a single blossom and buds dangling from the small sprig in his hand. Was he critiquing one of his own hybrids? Seems like it. One of his own was available commercially for some time as Fuchsia ‘Mendel’. It’s unclear if the original plant survives in cultivation anywhere, though. A local gardener and friend named another for him. A modern Fuchsia ‘Gregor Mendel’ was released by the Dutch breeder G. J. van den Bergh in 1994 and also named in his honor. The photo with his fellow friars wasn’t even the only photo in which the shy Mendel purposely posed himself with a fuchsia. In another he again stares at a small fuchsia flower. Fuchsias weren't, however, involved in his systematic genetic studies. They’re much more complicated than peas. Very complicated. If he’d used them as his subjects instead of those simple peas, he’d still be ironing out the details of his genetic observations almost a hundred and fifty years later. 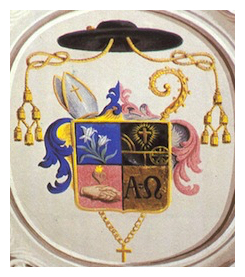 Mendel’s sometimes said to have even used a fuchsia in his coat of arms. Every abbot’s required to have one. It’s for sealing things and stuff. But a close look at his rather generic and religious abbotical shield, which remains impressively plastered and painted on a cartouche on the ceiling of the library at the Abbey, reveals some ubiquitous naturalistically styled lilies instead. If he did use a fuchsia at some point, the evidence might have gone up in smoke.